One block south of the Clarendon Hills Metra train station. Talley's Kitchen + Bar is the perfect place to bring a date, enjoy cocktails and wine with friends, or come with your entire family and taste bold flavors while creating memories. 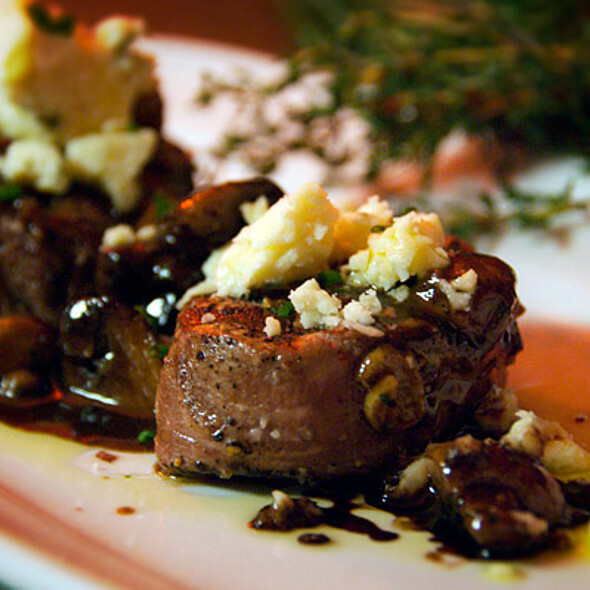 Our cuisine is a very approachable New-American cuisine. We pride ourselves on providing the freshest ingredients and creating food you will crave. Food was bland and nothing unusual or exceptional on a very limited menu. Great neighborhood place in Clarendon Hills. We had a variety of things, and the salmon, scallops and steak were all excellent. Definitely recommend! We were seated promptly By the hostess. We were given water and after 18 minutes of waiting we left the left the restaurant. Not one person came by to offer us drinks or let us know that the waiter would be delayed. We did go across the street to Frida Kahlo, the new Mexican restaurant in Clarendon Hills and had a great dinner. Amazing! Tonya was our server and she made my mom’s birthday celebration extra special; in order to insure all of our wants and needs were taken care of. Food is very good and well prepared. The menu is limited and the addition of new items or specials would be welcomed. The entire staff provides excellent service especially from Tanya as the server. The atmosphere is generally serene and is a great place to enjoy a private discussion. Cozy. Good food and drinks. Do not skimp on the liquor. Good service. Family friendly. Talley's is a gem in Clarendon Hills, meal was spot on as well as the cocktails. Really enjoyed the Croissant Bread Pudding desert and were pleasantly surprised with the live music on saturdays. Ask about the cotton candy!!! Had an open table reservation and told the front person who was our waiter as well but he never checked us in which resulted in negative email from open table . He was aloof and not too attentive. Forgot to bring one side dish and did nothing to apologize or rectify. Food was good but he acted like he was uninterested in being there. Have felt this way with both male servers whereas the female has been great in the past. Food is always good and menu seems to stay the same over the years. Jeffery was amazing! Very knowledgable about his wines. Made great recommendations. Food, service and location are all great! I love Tally's for a date night with my husband! Tonya was our awesome server, & we'll come back just because of her!!! Not to mention the food is top-notch! 5-stars! Waitress had no personality. I ordered the salmon and it was very dry. My husband had the filet and it was delicious. Great place. Food is awesome and the atmosphere is perfect. We sat near the window and the lighting from the street lights was quite bright and in my face. Perhaps shades or a curtain would help for upper half of windows. Talley’s is always amazing. Great neighborhood place with terrific staff and Krista is phenomenal. Our local favorite!! Always good food and a pleasurable dining experience. 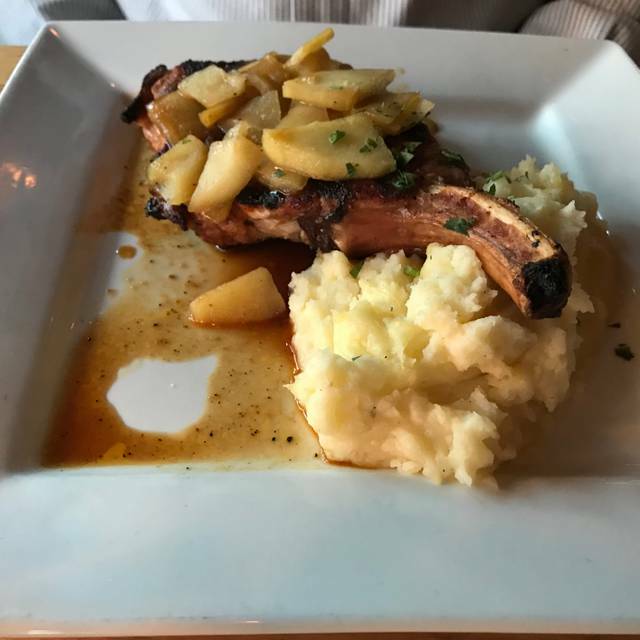 We've been to Tally's many times and is our go to place for casual but nicer dining. Tonight's food was just okay. I had the panko chicken that had an off putting flavor. My husband had the salmon and it needed more flavor. Would love to see some new menu items or specials that aren't super expensive. Seems like the same menu for last few years now. Love the owner and personal feel of restaurant. Will continue to go back but just an off night. We sat at a high top table. We were taken care of right away. My dinner was very good. I had scallops with corn risotto. We had a flatbread with sausage and peppers. And a grilled romaine salad. Everything was great. Our drinks were nice as well. Fresh lime is a plus. We would go back. Always a great dinner at Talley's. Food is consistently good and they have great drinks also. The Talley's Tea is delicious! Second time dining here. Food is excellent. Ordered the Panko chicken, steak and fries and ceasar salad. Everything was perfect! Also, had a treat of live music! Our waiter, Jeffrey, was wonderful and quite comical. Definitely will be back! It was a snowy night but the place was busy. Our server was ok, not great. We ordered twice baked potato bites which were very good. My husband's steak was severely overdone. We had the Bibb salad which was good but the tuna was flavorless. Our key lime pie was good. Overall an okay experience. Talleys is our go to for neighborhood feel, good food, friendly atmosphere. Our server Jeffrey makes it relaxed and pleasant. Menu not that extensive, but doesn’t need to be. Everything executed nicely. Simply not good. Free cheese board on Wednesday with a $120 bottle of wine was a joke. Stale crackers and about 6 small cubes of cheese and slices of figs. Waiter said it is not much when he brought it. It was almost embarrassing to serve. We enjoyed our visit soo much on Saturday, January 5th that we met another set of friends there on the 12th. GREAT FIND!!!! Wonderful spot...went on a very chilly evening and sat by a window...not very weather-proofed. It was cold. Cool location and nice ambiance. The slow service is tolerable but the food is not terribly good. Celebrated my mother's 88th birthday. Had a really nice time with great food! Love this place! Always good food and service! Service has consistently deteriorated which is too bad. We used to eat here once a week and now it’s rarely once a month. On our last visit we waited over 15 minutes past our reservation time. The owner blatantly sat her personal friends before 4 parties waiting for a tables. The food and experience was amazing, but it was a little on the expensive side for the amount of food that you get. We love this place. Great for kids too! The food is always fantastic and the service is even better! Consistently good. Well edited menu. My go-to is always scallops with the absolute best risotto (corn & smoked bacon)...I otherwise never eat risotto. We always have a good time with friends here. The restaurant was chilly and then we were located near the windows - it was a cool spot. The menu is pretty limited and prices not inexpensive with many entrees coming without any any accompaniment. The Caesar salad, which we split, was meager and not fresh, tasted as though the dressing had a ‘smoked’ flavor added. It was off putting. The crouton’s were out of a box and flavored with paprika heavily. The pork chop was done to the right temperature and was tasty; however, my dining companion’s shrimp tacos were not edible. The shrimp tasted off and the dressing on the greens was off tasting too. It was a disappointing dinner. Friday night family crowd. Food was good. Service was okay. Our waiter was gracious and friendly but over taxed with too many tables. Will try again on another night. Dinner was once again fantastic!! It is our go to place!! Staff is the best!! Bday dinner. We ate early so restaurant was pretty empty. Wish hostess wouldn’t have put us right under the speaker by the kitchen doors. Talley's always delivers with great service and delicious food! Food and wine exceeded expectations in this casual local restaurant. Enjoyed our first meal here! Based on web reviews, we tried the meatloaf -- good choice. Wonderful flavor, good portion, a not-your-mom's meatloaf (better), served on creamy mashed potatoes. Mushroom soup and salad were also very tasty. Excellent Manhattan. It was great to have conversation and not have to shout over the noise of most restaurants today. We had an early dinner; didn't stay for the live music. Will definitely return to try other menu selections.